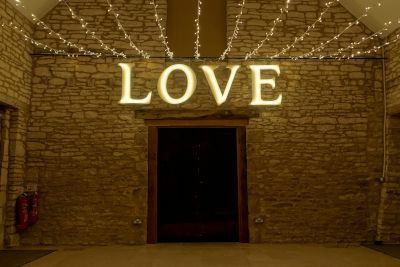 This LOVE sign was specially designed to fit into the space above the rear door and has a special feature - controllable coloured backlighting! 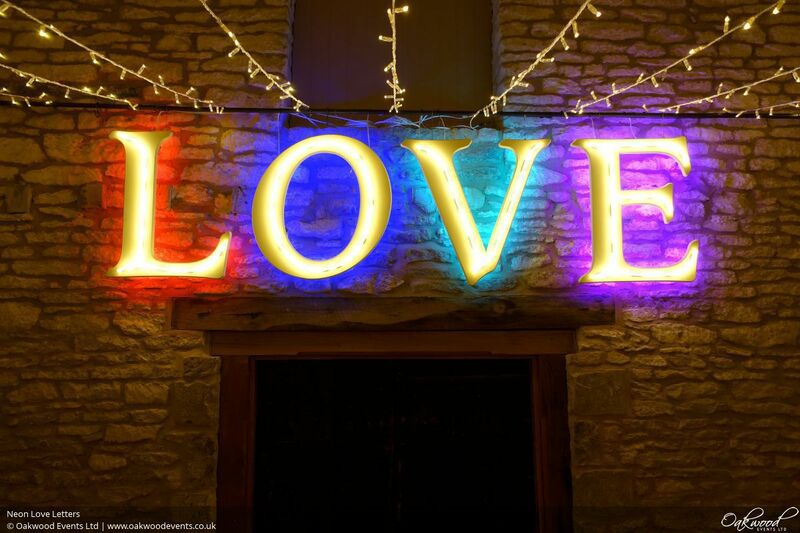 The backlighting can be switched on and off separately to the neon itself so it could be left switched off or set to a static colour during the day, then put into a colour-changing disco mode for the dancing later on. 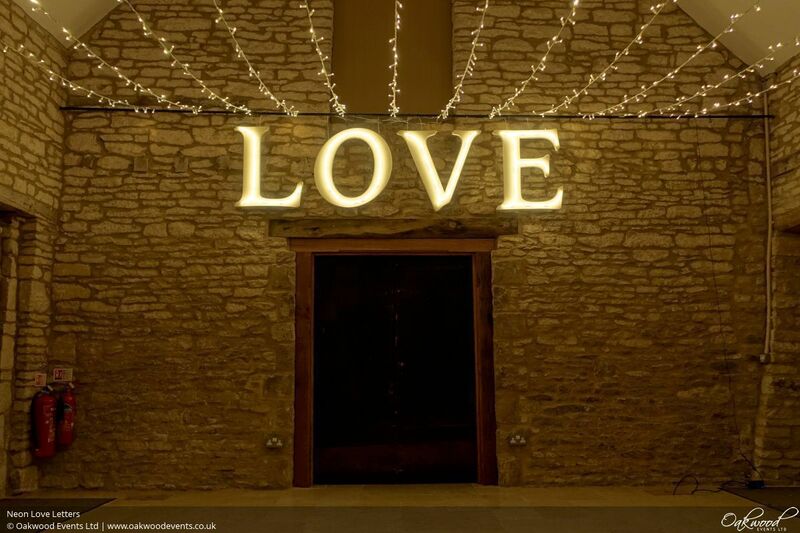 The LOVE letters are controlled by our easy to use touch screen controller so you can choose your look at any time during your wedding day. Feel free to get in touch if you'd like to know more! 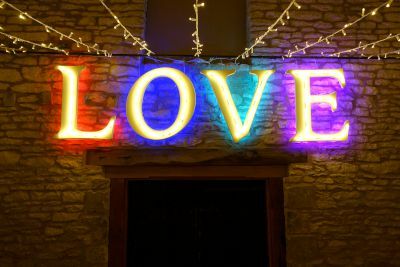 I just wanted to thank you and Steve for our wonderful lights at Caswell House on the 21st August - we loved them and had so many compliments on them. They really created the atmosphere we were after and looked incredible too!! Thank you as well for the friendly and easy booking service - I'm sure you have lots of pictures of your services, but I wanted to share a couple of pictures of the whole set-up.